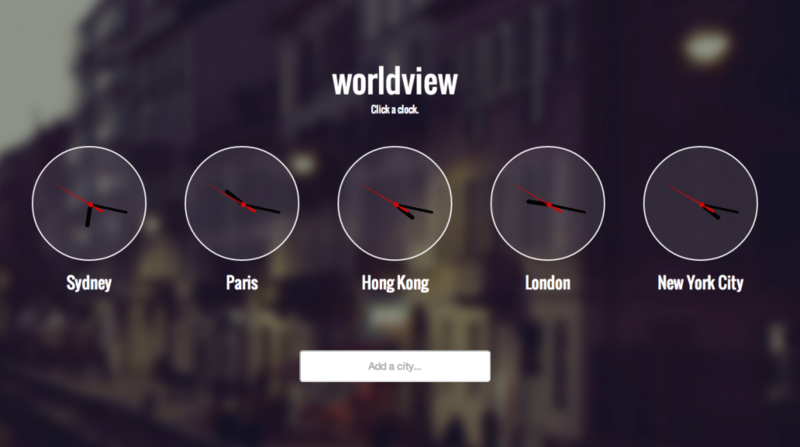 Worldview provides curated media from thousands of searchable world locations. 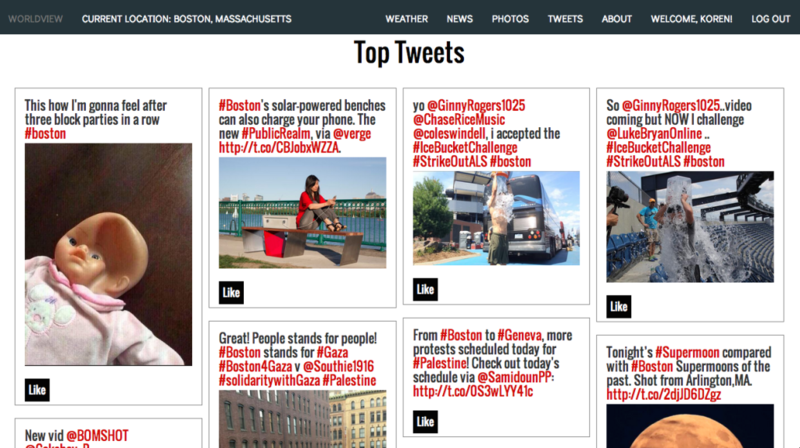 Ruby on Rails application utilizing the Twitter, Forecast.io, Weather Underground, Flickr and New York Times APIs. 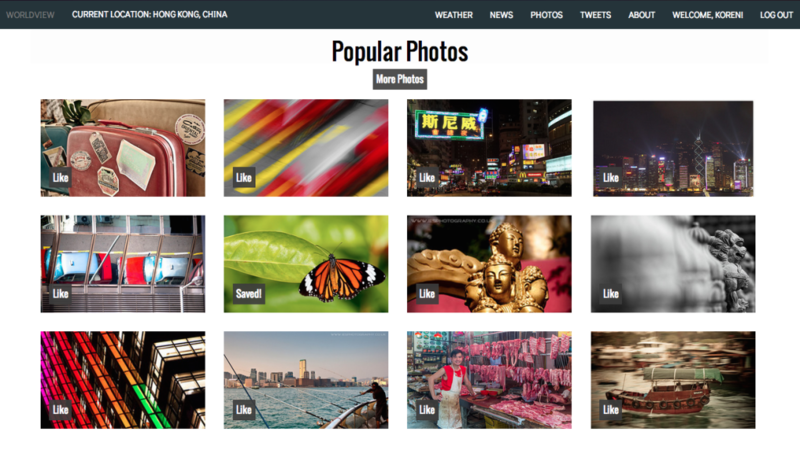 Users can log in through Twitter OAuth, where they will have the ability to save all content to a personalized dashboard.